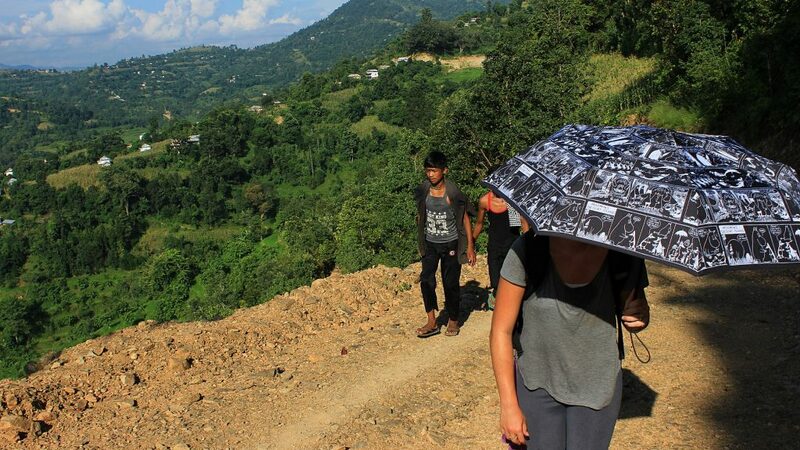 Most tourists who come to Nepal visit just a few places. 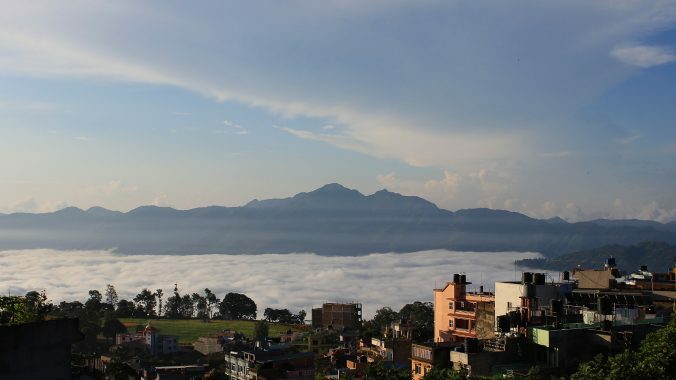 The capital Kathmandu and the valley around it gather a lot of people, and the touristy lake town of Pokhara is extremely popular with trekkers and hippies alike. Besides the historical sites and the mountain panoramas, there’s also the Chitwan National Park where many travelers go for jungle safaris to spot rhinos, tigers and elephants. Like so many other backpackers, I’ve previously only spent time in Kathmandu Valley, Pokhara and some places in between. Now that I’m venturing a bit further away from the main crowds, I’ve been able to see more of this beautiful country that I love so much. If you plan to witness than the usual places, I can truly recommend adding Tansen on your Nepal itinerary. A mountain panorama opens from the lookout tower of Shreenagar Hill in Tansen, Nepal. The population of Tansen, Nepal, is about 30,000, and all places in the town can be reached by foot. I arrived in Nepal from India by land. My first stop was Lumbini, the sacred birth place of Buddha just an hour away from the border. Tansen was an easy choice as the next destination, as it is located halfway along the road between Lumbini and Pokhara. 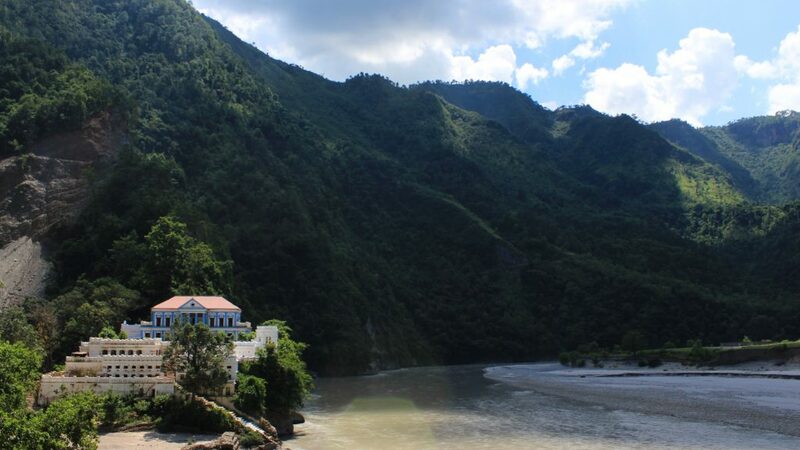 The five hour bus ride from Lumbini passes through some of the most beautiful road views from the Siddhartha Highway. Sure, Tansen is not a completely undiscovered gem in the middle of nowhere. It is highly recommended in the Lonely Planet guide, so there are a few Western tourists staying in the town most of the time. 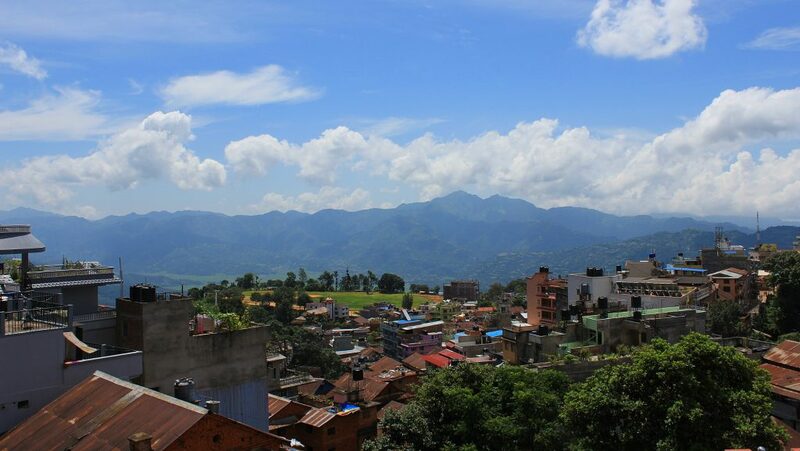 Still, what makes Tansen stand out from the lakeside of Pokhara or the tourist ghetto of Thamel in Kathmandu is the fact that Tansen is a normal, living town full of life. The day of the festival included plenty of dancing and music around the town. 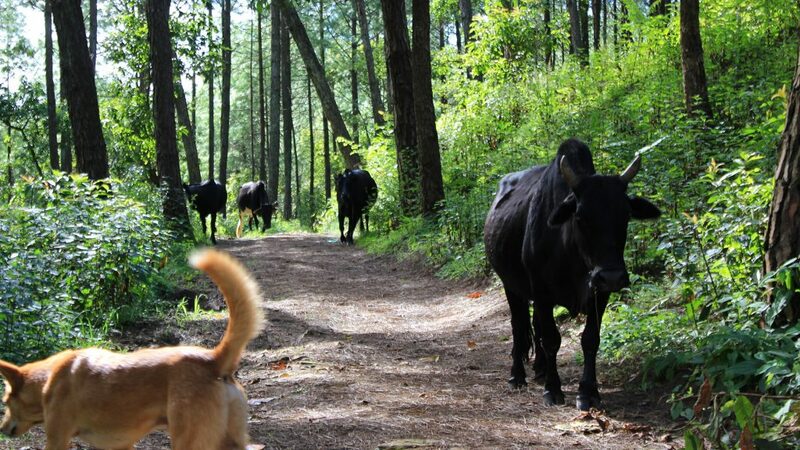 I went for a walk on the nearby hill and met these local hikers on the path. I happened to arrive in Tansen, on the eve of a Hindu festival. The celebrations gathered plenty of young people from nearby villages to celebrate in the city. While I didn’t really feel part of the celebrations, it was still interesting to see common residents and hanging out with each other. 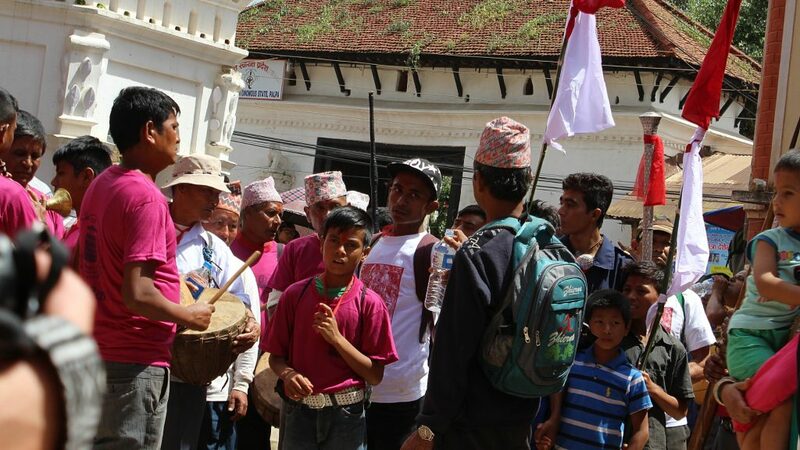 The gathering showed how the Nepalese culture is balancing between old traditions and new influences. These days, most young people have started to dress in very similar clothes as Westerners. Both boys and girls wear stylish clothes and have complicated haircuts that make my simple vagabond look seem scruffy in comparison. The celebrations in the evening didn’t seem all too different from any summer festivities in Finland – the biggest difference was that there was much less drunken misconduct to be seen. The abandoned Ranighat Palace is eight kilometers away from Tansen, Nepal. Inside the Ranighat Palace. 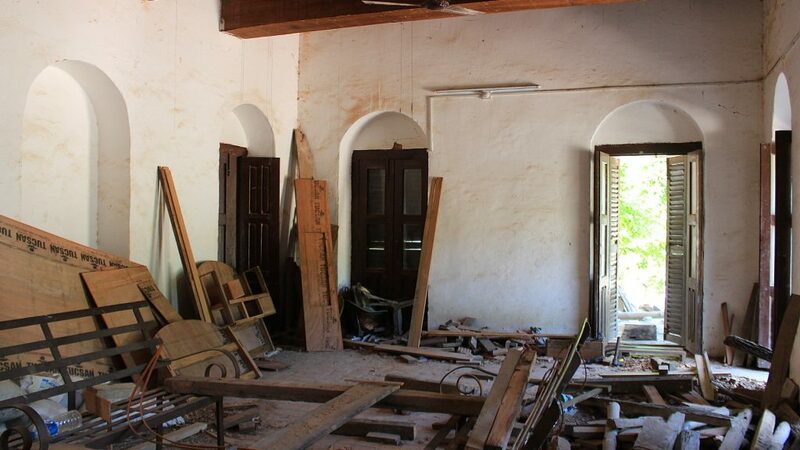 The building is currently under renovation, but you can still explore the rooms freely. 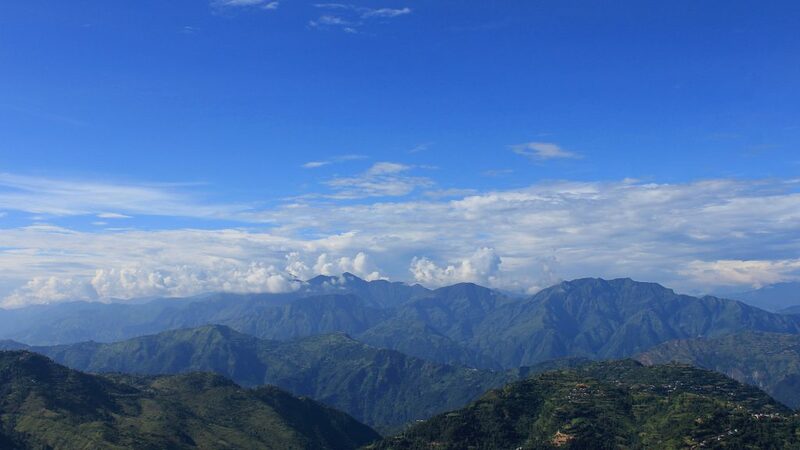 While Tansen is still far away from the highest mountains of Nepal, the vistas from the town are marvelous. The small city of around 30,000 people is located on the side of a high hill. Because the hill blocks the view to the other side, you can only see the nearby valley and mountains from the town itself. If you go further up from the town and climb on top of the hill, you’ll be treated with amazing views on all directions. There’s even a new view tower on top of the hill which rises high above the trees. On a clear day, you can spot some of the snow-capped peaks of the Himalayas in the north. The scenery absolutely amazing. I visited Ranighat Palace together with British backpacker Charlotte. The extreme heat of the sun made the 11 hour day trip a bit challenging at times. 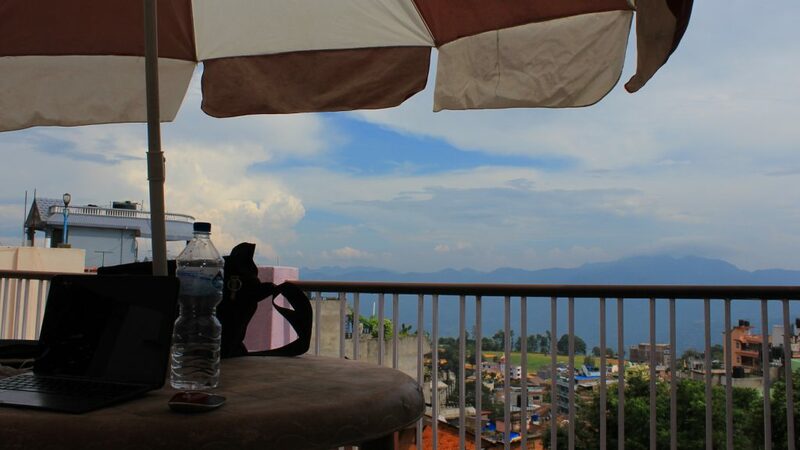 The rooftop terrace of City View Homestay was a good spot for writing and chilling in Tansen, Nepal. My accommodation was in a place called City View Homestay, which is run by retired economy professor Man Mohan Shrestha. Man Mohan is a friendly man full of energy who’s also practically the center of the tourist industry of Tansen. Besides having a homestay, Man Mohan also runs a tourist information center and helps develop the local tourist destinations. I definitely enjoyed my stay with Man Mohan and his family. I had a nice room on the rooftop terrace with splendid views and Man Mohan was able to give great insights about the Nepalese culture during my stay. As an educated and ever-curious person, he could also analytically compare the differences between Western countries and Nepal. Besides the people and the hiking tracks, the weather and the nature showed their beauty. On my first night, I was treated with a clear view of the sky. Because there were so few city lights nearby, I could spot more stars in the sky than I’ve ever seen before. A few days later, I also witnessed silent thunder storms above the valley below. 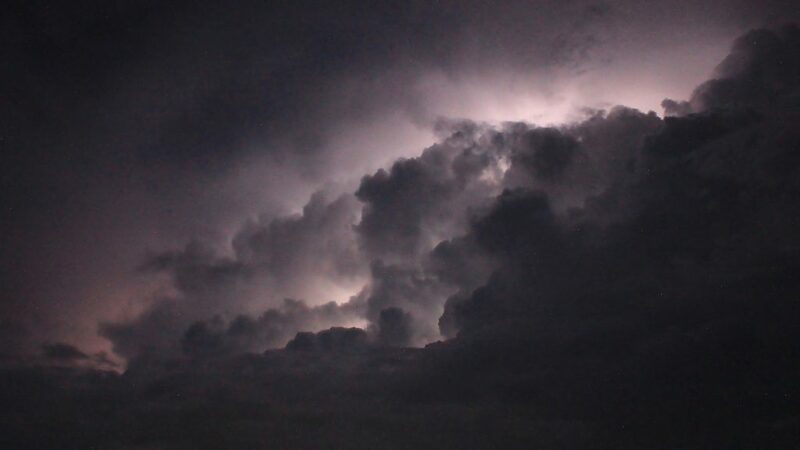 The storm that lit the sky in bright flashes of dancing lightning bolts between the clouds had to be one of the most incredible natural phenomena I’ve ever witnessed.  My best attempt of photographing the sky full of stars. The few light spots you might see by zooming are propably just dead pixels on my camera. No trip is the same and I can’t guarantee that everyone will enjoy Tansen as much as I do. For my own part, I can say that my experience was definitely a good one. Sure, the Nepalese Wi-Fi once again worked like a dream (or more precisely, a nightmare) and I didn’t do much on my last two days, but those were only minor issues. In a way, Tansen felt like a best of collection of all the thing I love about traveling. 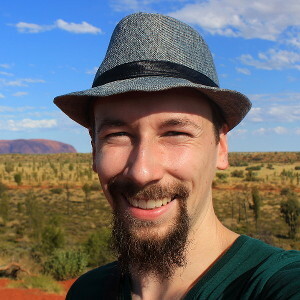 The day hikes were almost as nice as in Slovakia (although the routes were much less adventurous), the view from my accommodation almost challenged the one I had in Gokarna, India, and I had some great and deep conversations like the ones I had with my Finnish friend Tino in India. And while the Hindu festival couldn’t top the magic of Imaginácie, a modern art performance I witnessed on my first night in Košice, Slovakia, there situation felt quite similar. 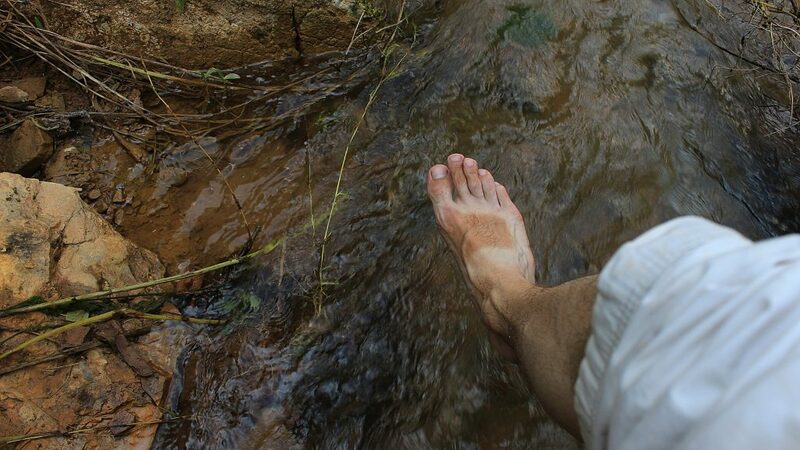 Cooling my feet on a small stream and admiring my impressive sandal tan. If I don’t start walking barefoot at some point, the tan lines will probably remain for the next too years. I stayed in Tansen for almost a week, which actually made the longest stay of my trip so far. But something much bigger was just looming around the corner, as I moved to Pokhara to start a three week course of Nepali language. Unfortunately I now have to admit that I’ve probably failed in one of the goals of my trip. When I started planning this “biggest adventure of my lifetime”, my plan was to travel so much that I’d get bored of it. That way, I could settle down more easily afterwards because I’d loose my interest in exploring the world. But after Tansen, I just can’t see how I’d ever get enough of this.